This Feb. 9, 2017, file photo shows Kind snack bars on display at a supermarket in New York. 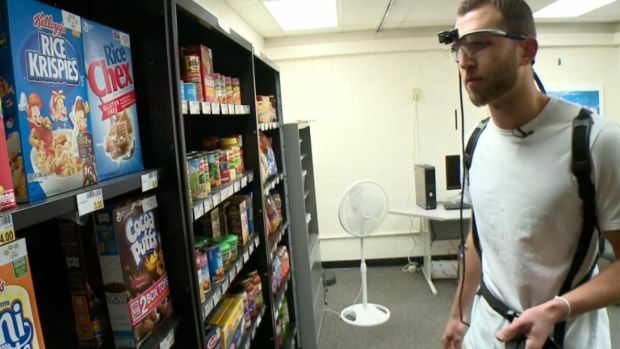 New smart glasses developed by researchers at Colorado State University could change how food labels are printed on boxes and cans in your local grocery store. The FDA is looking to roll out this new tech by 2018. "The problem is that healthy is relative," said Bruce Y. Lee, a professor of international health at Johns Hopkins. Subsisting on broccoli alone, for instance, wouldn't be healthy. The federal standards for use of the word "healthy" on labels was established in 1994 and set limits on total fat and cholesterol. Susan Mayne, who heads the FDA's food labeling division, said the definition reflects decades-old understanding of nutrition and needs to be updated. With the revamp, she said people will be able to trust the word "healthy" is based in science, unlike many other terms on packages. "This is one that the federal agencies will stand behind," she said. 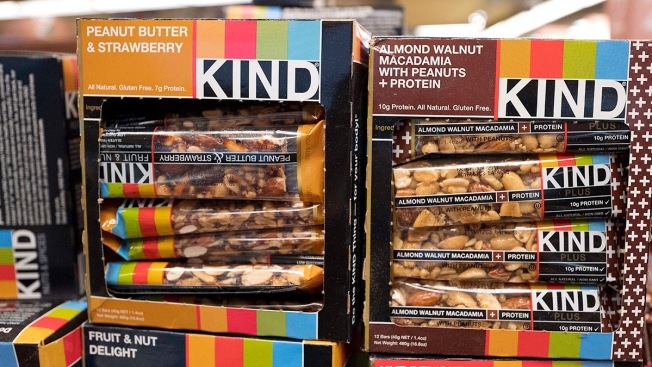 The government's dusty definition of healthy came under scrutiny in late 2015, when the FDA warned Kind that its snack bars had too much fat to use the term. Kind pushed back, saying the fat came from nuts. Since the rule was established more than two decades ago, nutrition experts have drawn a greater distinction between "good fats" like those found in nuts and "bad fats" like the trans fats in oils that are partially hydrogenated, an industrial process that gives foods a longer shelf life. Separate U.S. dietary guidelines , which are updated every five years, no longer set limits on total fat or cholesterol. They still recommend avoiding trans fats and limiting saturated fats, such as those found in meat and milk. But even the link between saturated fats and heart disease is now questioned . The shifting views reflect the pitfalls of nutrition science. Most food studies are based on links between what people say they eat and their health, which leaves the door open for flawed conclusions . Pinning down cause-and-effect relationships is harder. It's why the effort to redefine "healthy" invites such debate. After launching the push in late 2016, the FDA received more than 1,140 public comments on the matter. The next step is for the FDA to propose a new definition, which would be subject to another round of public comment. The agency won't say when it expects to establish a final rule with the new definition. 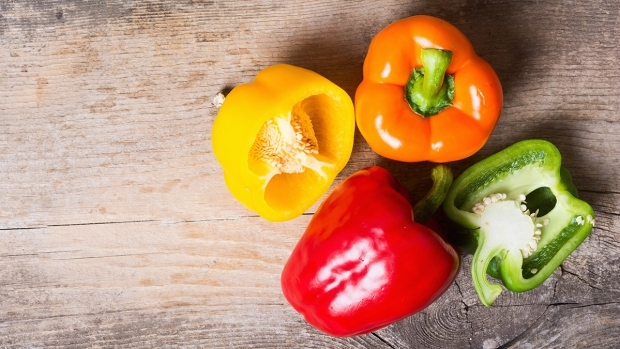 "Healthy" was once just another generic marketing term, like "wholesome" or "like momma used to make," said Xaq Frohlich, a professor of food history at Auburn University. "The reason why 'healthy' is getting attention is because a broad part of the American public really wants their food to be healthy," Frohlich said. The Sierra Club wants "healthy" to exclude foods made with genetically engineered and artificial ingredients. The National Pasta Association wants to the option to call gluten-free pasta healthy. Right now, it says some gluten-free pastas fall shy of nutrient requirements. In addition to limiting fat and cholesterol, the current standard requires the presence of a nutrient like calcium, fiber, iron or vitamin C. It's partly why bottled water and sugar-free gum companies say they're unfairly excluded from using the term. Richard Mann, a lawyer for the International Chewing Gum Association, said sugar-free gum doesn't have any of the nutrients people are supposed to limit. "It doesn't have fat. It doesn't have sugar. It has virtually no calories," he said.